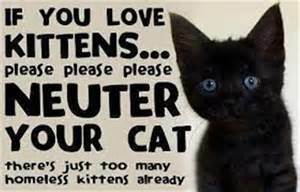 A report of mum and 2 kittens in Fishermead on Monday and a rescue of mum and 5 kittens last night. All found under sheds in Milton Keynes. Simple message really isn’t it……….